Rewilding has been intensely debated among conservationists and ecologists. 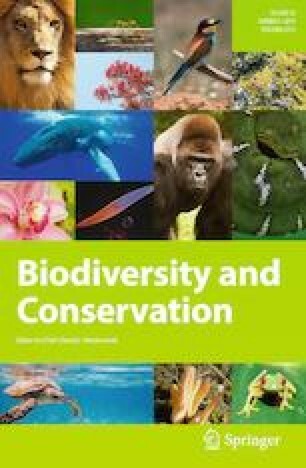 Multiple definitions and conceptual frameworks have been proposed for rewilding programmes, but hitherto all with a focus on promoting biodiversity conservation via restoration of ecological processes. Recently, however, it has been proposed to instead focus rewilding on the promotion of self-sustaining provisioning of preferred ecosystem services. Such shift in focus comes with an increased risk that rewilding efforts could be designed towards the promotion of simplified ecosystems providing selected ecosystem services, despite negative effects on biodiversity, as well as considerable socio-economic risks and ethical problems. We argue that rewilding should keep its focus on promoting biodiversity, with provisioning of other ecosystem services being integrated in the design of rewilding projects only as co-benefits. If such services become the main motivation for rewilding projects, there is a risk of misinterpretations and rewilding promoting less diverse ecosystems. This work was partly supported by Student Conference on Conservation Science Miriam Rothschild Travel Bursary Programme, which provided a Grant to LG. LG was also supported by Coordenação de Aperfeiçoamento Pessoal de Nível Superior (CAPES) and Fundação de Amparo à Pesquisa do Estado do Rio de Janeiro (FAPERJ). FASF and ASP receive personal grants by Conselho Nacional de Pesquisa e Desenvolvimento Científico e Tecnológico (CNPq). FASF, ASP and LG receive support from Fundação Grupo Boticário de Proteção à Natureza (0010/2014), CNPq (Grant Numbers: 487092/2012-4 and 308356/2014-4) and FAPERJ (Grant Number: E-26/010/001645/2014). We thank the REFAUNA team for previous profitable discussions. JCS considers this work a contribution to his Carlsberg Foundation Semper Ardens project MegaPast2Future (Grant CF16-0005) and to his VILLUM Investigator project “Biodiversity Dynamics in a Changing World” funded by VILLUM FONDEN (Grant 16549). Mauro Galetti substantially contributed to initial discussions on this paper.